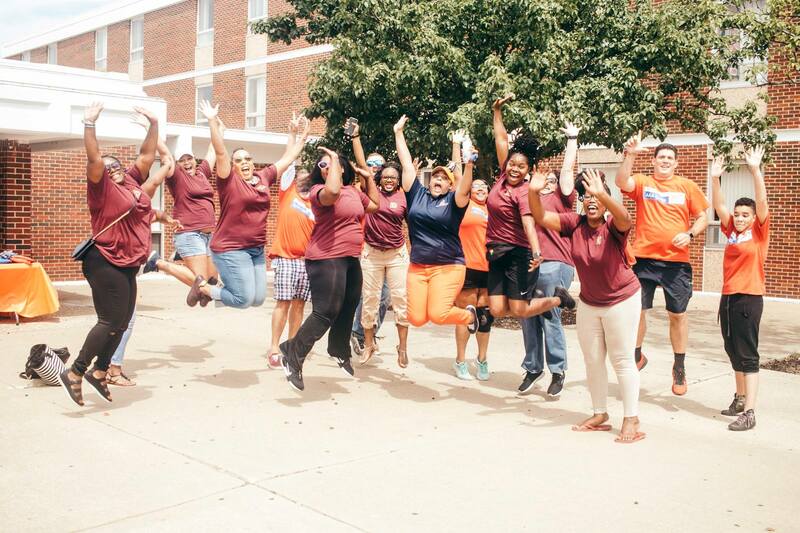 Langston, Okla. – The fall semester officially started this week at Langston University. The University welcomed a new freshman class for the 2018 fall semester, and the campus is bustling with excitement! Freshman move-in started last week. New students participated in a series of events including freshman orientation known as Lion Camp. The orientation is designed for incoming students to get acclimated to campus, meet fellow Lions, and begin their academic and co-curricular experience. Student leaders across campus helped lead the efforts of the more than 20 events that assisted new students with getting involved on campus upon their arrival. Members of the Student Government Association, Greek life, and the LU student ambassadors volunteered at the LU movie night, late night yell, painting with a twist, the amazing race, and the mixer. “I am proud of the outstanding leadership and efforts shown by the LU faculty, staff, alumni, and community volunteers who helped students with their transition into college life.” said Langston University President, Dr. Kent J. Smith, Jr.
Langston University is a public historically black college and university enrolling a close-knit community of under 3,000 students. Founded in 1897, LU is located in rural Logan County and has urban campuses in Oklahoma City and Tulsa. LU has been recognized as a top institution of higher learning for affordability, ranking number three among all Historically Black Colleges and Universities in the U.S., according to AffordableSchools.net. Langston offers more than 40 associate, bachelors, masters, and doctoral programs across six academic colleges. Visit us online at http://www.langston.edu.